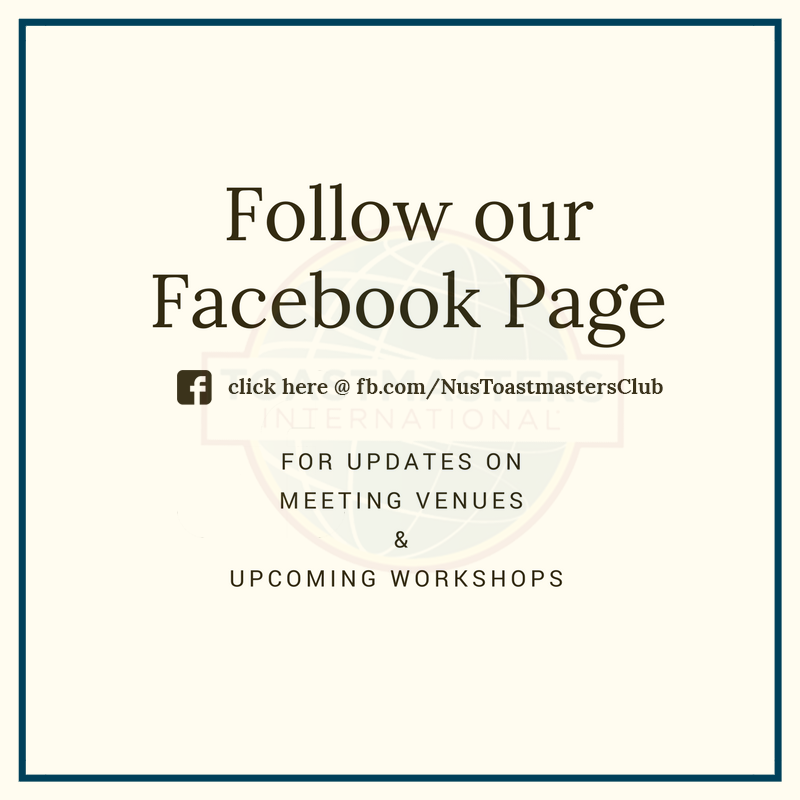 NUS Toastmasters Club provides you the platform to develop not only your Communication Skills , but also your Leadership Ability and other functional skills, be it Marketing, Public Relations or Persuasion . Most importantly you will be assigned a mentor to guide you on this journey, making your journey with NUSTM that much more enjoyable. The best part was that my teammates were so happy for me, it felt good to be able to deliver a message clearly and succinctly to an engaged audience, to do the content justice. Being a Toastmaster for 3 years and coming from the faculty of science, the club has truly broadened my perspective not only about speaking skills but about life. Toastmasters is not a place just to learn how to communicate better and gain self-confidence, it’s a positive platform to make friends and challenge one another in our daily lives. Are you good at thinking on your feet? There are many situations which will force us to do so, be it the interview to your dream job or a simple networking event. Table Topics offers you the opportunity to develop the skills and confidence to communicate when the unexpected opportunity arises. Are you able to craft your speech in a captivating manner? Are you able to deliver your speech that does justice to the way it's crafted? Hone your speech preparation and delivery with the guidance of your mentor through the Prepared Speeches segments and you will find yourself growing as a speaker. Have you ever been criticized? How about being praised? Develop your ability to give constructive feedback to help others improve. Learn from the feedback of others to speed up your development as a speaker, thinker and leader!